“a Lamp to my feet. a Light for my path.” – John 15:1-2;4-6 | A LAMP TO MY FEET. A LIGHT FOR MY PATH. and my Father is the gardener. so they will produce even more. For a branch cannot produce fruit if it is severed from the vine, and you cannot be fruitful unless you remain in me. is thrown away like a useless branch and withers. but it makes for easy yet very inspiring reading. things that everyone can see. This time He speaks to us with the image of the vine and the branches. Jesus sets forth two situations. and so it is cut off and thrown away. and so it is pruned. that pruning is not a hostile act to the branch. he has confidence in it. The same happens on the spiritual plane. God intervenes in our lives with the cross (instead of the pruning scissors). but, in fact, quite the opposite. and make the vine “weep,” as they say? and the rating of the wine will therefore be lower. It is the same with us – with our lives, spiritual and otherwise. and concentrate on the primary. We need to prune ourselves! This is even truer in the spiritual life. Holiness is like a sculpture. so that the figure can emerge that one has in mind. and often that of others. as shapeless blocks of stone or marble. and begins to work on us. 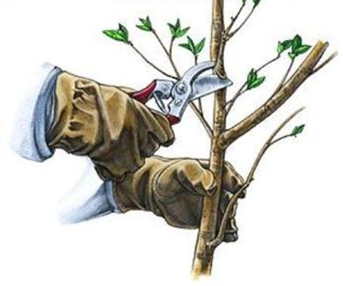 He takes the pruning shears, and begins to prune us. thinking of what terrible crosses He may send us! and He helps us not to waste the opportunities. as You bring the best out of me.